The Fukui District Court on Dec. 24 lifted a temporary injunction that had prevented the No. 3 and No. 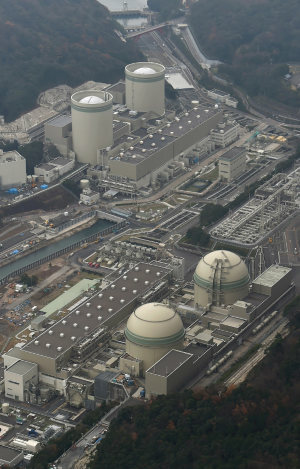 4 reactors at Kansai Electric Power Co.'s Takahama Nuclear Power Plant in Fukui Prefecture from being restarted. Mayor Yutaka Nose had given consent to reactivating the No. 3 and No. 4 reactors at the Takahama nuclear plant on Dec. 3, in defiance of the temporary injunction. In April this year, the Fukui District Court issued a provisional injunction ordering that the reactors remain suspended.